Zayn Khan took up the role of Dragon Rouge’s CEO of Southeast Asia in May last year. With more than 12 years of experience in the region, he was tasked to head up the new office and build a full service team in Singapore. 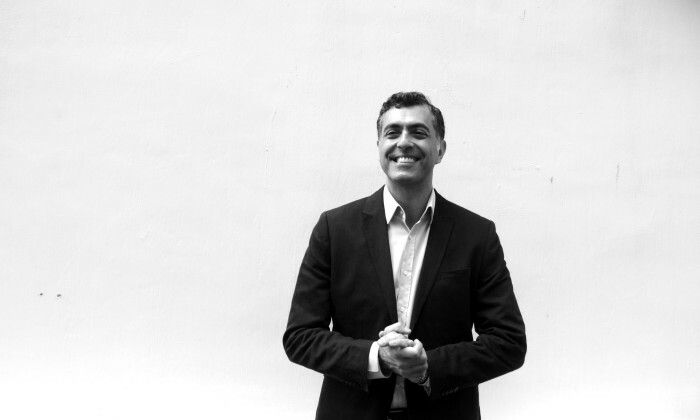 His career has taken him from the UK to the US to Asia Pacific, with previous roles, including group MD of Ogilvy & Mather Malaysia and CEO of Asia Pacific for FutureBrand. We talked to Khan about his journey across the region and to the top. My style is quite consensual. I tend to consult my team and we make important decisions together. I think this is a Western approach, and when I first came to Asia 16 years ago I realised that I needed to make some adjustments. People expected me to be more of a “boss”, that is, more directive, more tough and I had to learn that. At the end of the day, though, I believe people need to feel empowered, and I find the best way to achieve this is to share responsibility and spread accountability. In other words, I like to make people feel they are part of creating a shared future, and not just passive bystanders. How has the past few months been for you in the new role? It’s been exciting, and I love what we are doing in our Singapore office on Kim Yam Road. It has the feeling of a start-up because it was a new office in the Dragon Rouge network, and with the exception of one person, we are all new to the company. We all roll up our sleeves and do what has to be done without any preciousness. Of course, starting an office from scratch is challenging on many levels – getting our name out there, competing for new business and making sure we deliver top-notch work. It requires a lot of multi-tasking. I never thought about advertising when I was young. I was aware of the profession because of Darrin on Bewitched, but it didn’t strike me as something hugely worthwhile. As a kid I wanted to be an architect. Then I succumbed to peer pressure in high school and decided to go into medicine. Years later, and after getting a degree in life sciences, I bailed on that plan and pursued my true love: architecture. After I graduated, I got greedy and impatient and decided to become a property developer. I designed, built and sold a house. Though I made a modest profit, I realised that I was naïve about business. Being a glutton for punishment, I packed my bags, moved to London and did an MBA. My plan was to go back into architecture and development, but my school (LBS) was very focused on management consulting and investment banking (for people far greedier than I). I was at a bit of a loss when one day WPP sent an Ogilvy planner to give a talk at our school (WPP was recruiting for the Fellowship programme). He told an amazing story about doing rural marketing and public health education in India. I had a moment of epiphany. I joined WPP right after getting my MBA. My first summer job (a tradition in Canada) was as a mail boy in the oil and gas company where my father worked. I delivered the mail, ran the mail stamping machine and ran the odd errands. I also observed office politics which would come in handy years later. My first job in this industry was to work on the rebranding of Spanish car company SEAT (VW Group). I had to go to Barcelona and test drive the new SEAT Toledo in the hills of Cataluña as part of a dealer launch. What can I say? It was rough. I’ve had a few. My high school I.B. English teacher Chet Marlett was amazing. My architecture professors changed my entire way of thinking. In advertising I have had the fortune of working with some greats who taught me how to survive in this mad profession. What was the proudest moment in your career? My proudest moment overall was when I finished my first house and it sold. It was an amazing feeling to have conceived, designed and built something that people would live out their lives in. That was 20 years ago, and I still drive by the house in Vancouver to check on it. In advertising, it was probably winning the Malaysia Airlines business with my creative partner Dani Comar. Best pitch ever. Ha! Where do I start? There are a couple of emails I wish I could retract. Either too emotional or politically misguided. They cost me. In both cases, I made the mistake of taking someone else’s advice and not listening to my inner voice. I learned to always trust my own judgment. When you’re not working, what would you be doing, aside from spending time with the family? The reality is that when you run a business you are always working. And the ever-present Wi-Fi makes sure of that. But I like to run, water ski, read and watch independent films from countries such as Israel, Denmark and Japan. Honestly, no. I thought I would be a strategist. But in Asia, when you’re good at what you do – and you deliver – you end up having to run things. I am an accidental CEO. I love building things, so as a CEO I hope to build things that last – brands, teams, things that leave an impact on people in some way. I am driven by a belief that great design makes a difference to business and improves the way we live. I believe my main job as CEO is to prove this. Two of my staff insisted on becoming my “mothers” – my planning director and my personal assistant. So now I have three mums, with more in the pipeline! Don’t stay in this industry unless you have an irrational attachment to the brands you work on. Clients come and go, bosses come and go, your stars quit, but the brands remain. You have to always do what you believe is best for the brands. If it creates client conflict, learn to deal with it. They’ll come around eventually, but you have to invest the time in educating them. Relentless pitching. Because what we do in Dragon Rouge is more strategy and design consultancy, most of our assignments are project based. We don’t have big advertising retainers because that is not our focus. It means we are continuously looking for new business. This takes a lot of energy and eats into time that by right should go into delivering great work for existing clients. It’s a constant juggling act and not for the faint of heart! The stench of roadkill that are great ideas that clients didn’t buy. HSBC has launched an offline and online brand activation - ‘#PaddleTogether’ - on Facebook to show its support for the unwavering..
With the rise of ad blockers, should businesses and marketers be worried?.. To attract more local people to participate, the organiser will open up its fan zone "EVillage" with 20,000 free tickets through r..